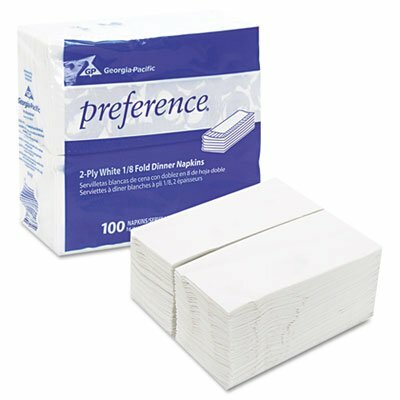 Preference 2-ply dinner napkins are the right choice when you want a disposable napkin that speaks to your quality and attention to detail. These popular dinner napkins deliver a touch of distinction making them ideal for better restaurants, resorts, lodging, and healthcare facilities. The Preference scrollwork pattern, soft hand feel and classy coin edge emboss deliver better patron perception in this 100-count, poly put-up. Folded measures 8.0" length by 3.75" width. Make your next occasion "just right" with Impressions entertaining napkins. Generously sized, velvety soft and wonderfully thick three-ply napkins are simply elegant at picnics, dinner parties, even weddings and upscale celebrations. Their luxurious, cloth-like feel will keep some guests guessing. Material(s): Paper; Color(s): White; Width: 15"; Depth: 17". Stylish! 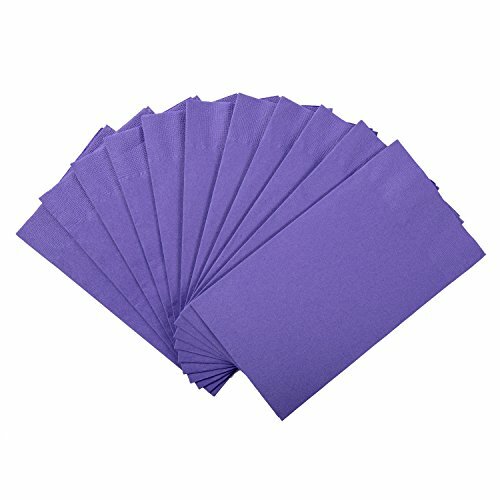 These Purple 2-Ply Dinner Napkins offer any table setting a fun look. Practical! 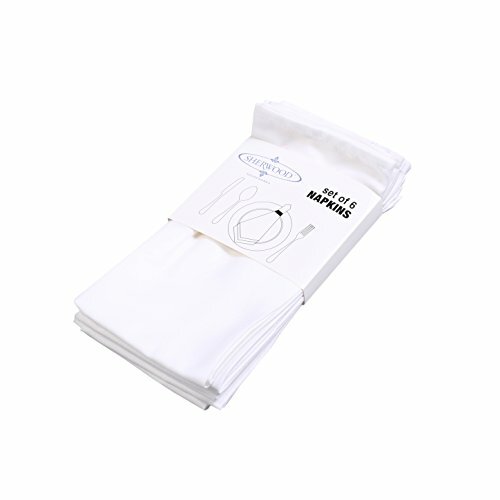 They are stronger thicker than standard single-ply napkins, giving them maximum durability and absorbability. They are perfect to use with appetizers, finger foods, or entrees. These napkins look great when folded into disposable napkin rings or creative designs, and are the perfect size with dimensions of 15" x 17". Convenient! As a disposable and biodegradable product, they minimize clean up and are an economic alternative to cloth napkins. 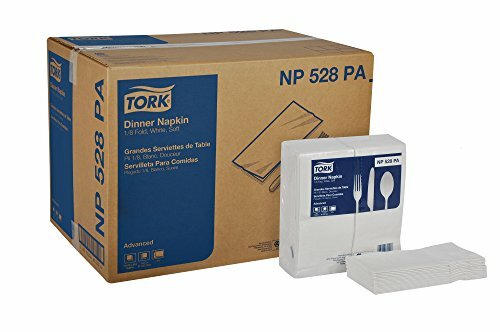 Tork Advanced Soft Diner Napkins offer an exclusive "tallfold" styling which allows silverware to rest on it with little or no overhang. Embossed and 2-ply thickness offers a quality look and hand feel. Poly wrapped packaging protects napkin quality and ensures perfect presentation every time. Napkins are always fresh and sanitary. Made from 100% recycled and 20% Post Consumer fibers offers environmental benefits and is a positive image builder. ECOLOGO Certified, Independently Verified and Certified Compostable by BPI. 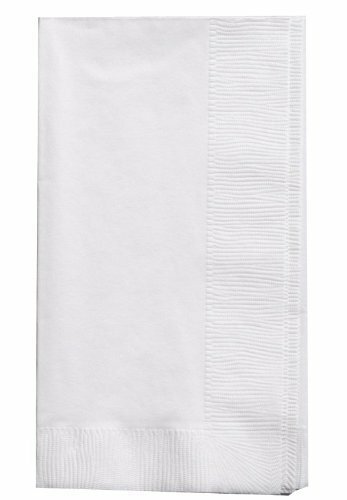 The Boardwalk 8308 disposable paper dinner napkin is made of 2-ply paper for absorbency, has a 1/8-fold design for compact storage and portability, and is white to coordinate with many tableware designs and decorations. The napkin measures 15" x 17" (W x L). (W is width, the horizontal distance from left to right; D is depth, the horizontal distance from front to back.) It comes in 30 packs of 100 napkins.Morcon distributes paper towels, napkins, bathroom tissue, and other disposable paper products for commercial, healthcare, and industrial use. The company, founded in 1987, is headquartered in Cambridge, NY. Sherwood 12 Pack Polyester Cotton Dinner Napkins 15''x 15'' Lavender Durable Hotel Quality Table Cloth-Easy Clean Machine Washable Care Instructions: - Wash dark colors separately - Cool Iron, not heat resistant - Hand or machine wash in cold water with regular detergent. - Do not use fabric softeners as they clog the open spaces in poly cotton making the fabric useless. - Do not bleach, apply stain removal directly to stains if you required. - Air dry is best for drying since poly cotton dries relatively quickly. If using the dryer, low heat or no heat is suggested. ATTENTION: Because of factors such as display pixel and light, there might be a little color differences. 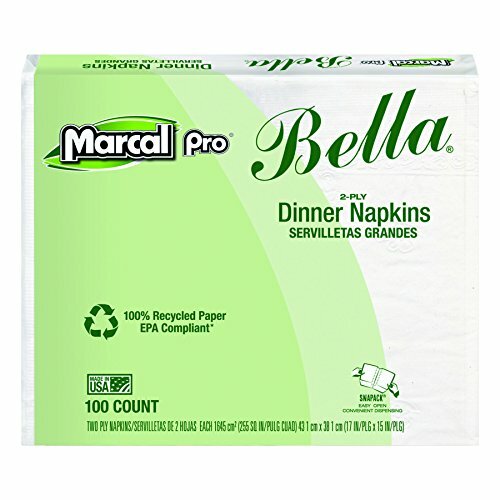 MarcalPro Bella 2-Ply Dinner Napkins are 100% recycled making them the best choice. Our unique SnapPac feature makes dispensing quick, easy and convenient. 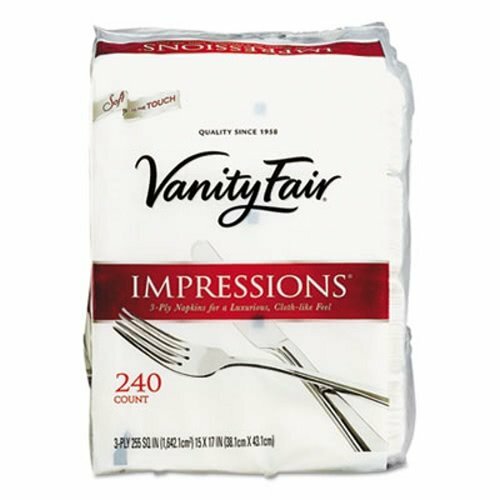 Attractively embossed, virtually lint-free full size dinner napkins are perfect for dinner, lunch or any occasion. Folded to 4.5 inches x 7.5 inches they fit easily under silverware creating a lovely place setting for you and your guests. Meets EPA guidelines for recycled post consumer recycled content. Manufactured without chlorine bleach, dyes or fragrances. 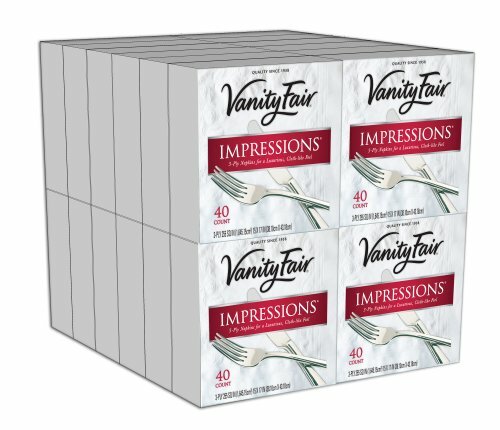 Packed 100 napkins per pack, 30 packs per carton. Made in the USA. Marcal, a friend to trees since 1950. We make paper from paper, not from trees! 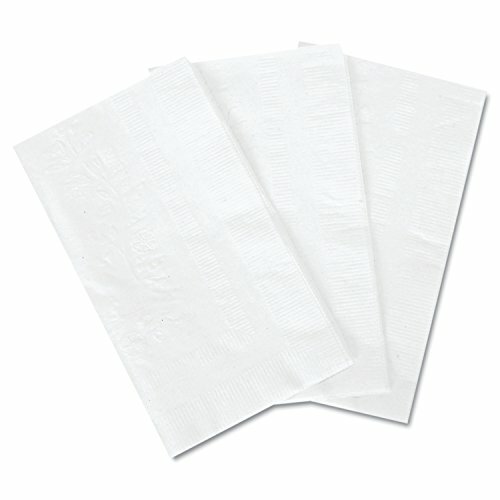 Compare prices on Napkins 15 at ShoppinGent.com – use promo codes and coupons for best offers and deals. Start smart buying with ShoppinGent.com right now and choose your golden price on every purchase.